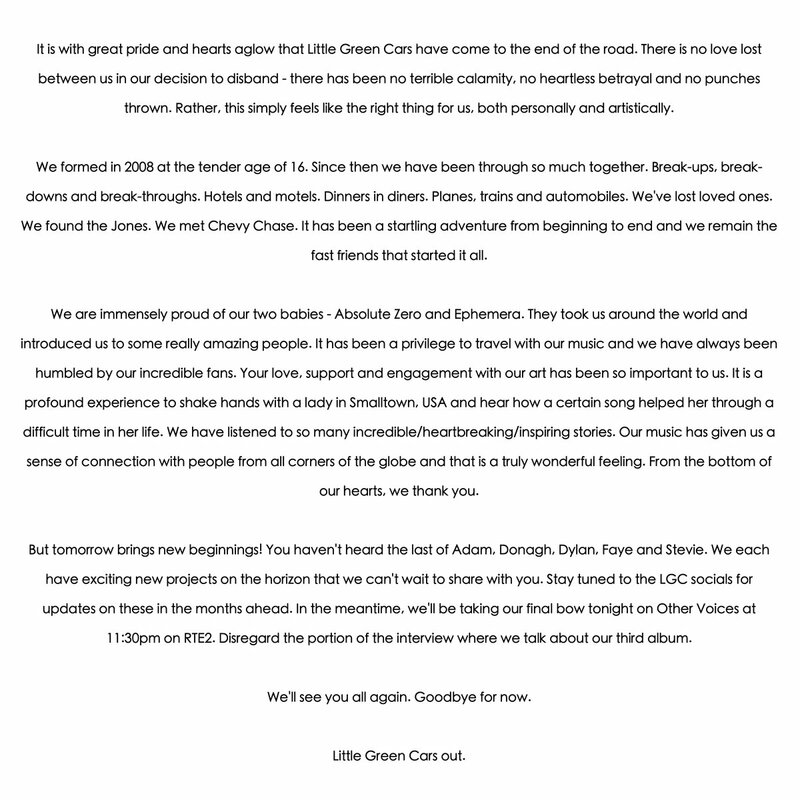 A sad day for fans of Little Green Cars. 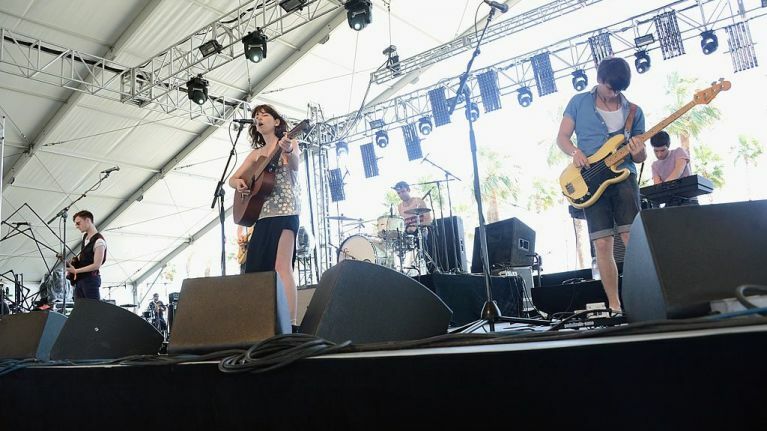 Dublin-based indie band Little Green Cars announced on Thursday that they “have come to the end of the road”. The band issued a statement via their official Twitter page, saying that their decision to disband “feels like the right thing for us, both personally and artistically”. Formed in 2008, the band released two albums, Absolute Zero (2013) and Ephemera (2016) and toured in Ireland, the UK and the US, earning slots at prestigious festivals such as Coachella and SXSW and performing their single ‘Harper Lee’ live on Late Night with Jimmy Fallon. The band say that fans haven’t heard the last of Adam (O’Regan), Donagh (Seaver O’Leary), Dylan (Lynch), Faye (O’Rourke) and Stevie (Appleby), who have “exciting projects on the horizon” that will be flagged on the band’s social channels in the months ahead. In the meantime, fans can catch Little Green Cars on their final bow on Other Voices on RTÉ2 on Thursday at 11.30pm, where the band have urged fans to disregard the portion of the interview where they talk about their third album.